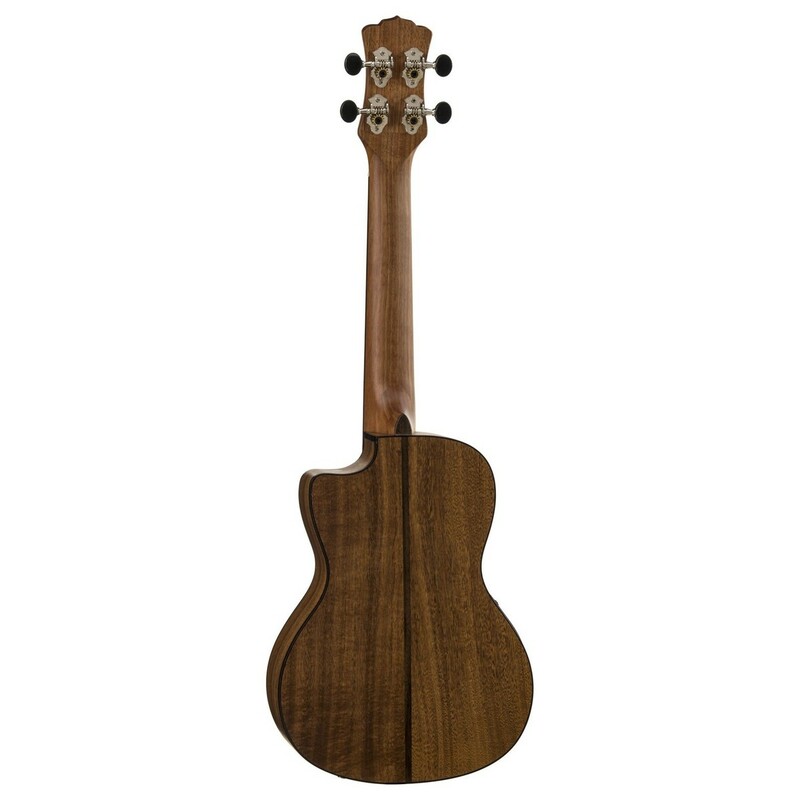 The Luna High Tide Electro Acoustic Concert Ukulele features a top, back and sides crafted entirely from koa, which not only offers a striking visual, but produces a full, warm, classic ukulele sound. Its koa construction also delivers a woody tone, with a hint of bright sparkle that can handle numerous playing styles with ease. In addition to its great acoustic tone, the High Tide's natural voice can be amplified via the built-in preamp from Luna, which offers basic sound tweaking for live and rehearsal environments. Finished in satin natural, with stunning abalone inlays and riding tide fingerboard markers, the High Tide embodies Luna's passion for nature and creatively spiritual designs. Affordable, beautiful, and ideal for the gigging guitarist, the High Tide Concert is certainly ready for stage performance. 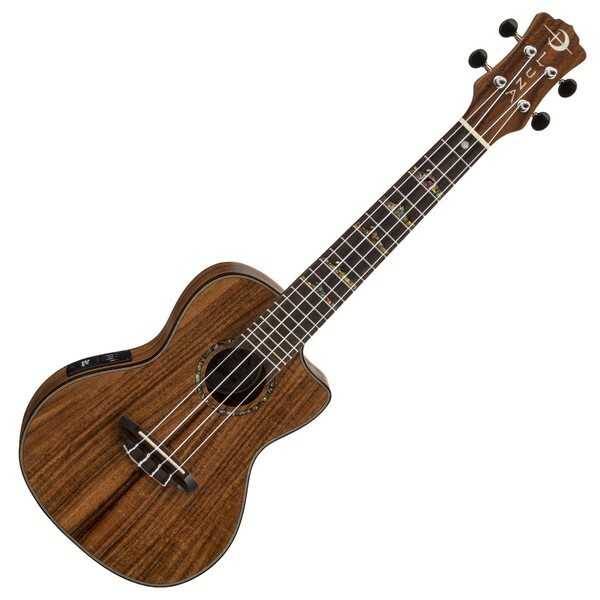 The Luna High Tide features an all-koa construction, offering a visually striking concert ukulele with a rich, full sound. Its koa body produces a well-balanced, and focused sound with great projection and volume. Overall, the High Tide Concert delivers a traditional and authentic ukulele sound, perfect for Hawaiian music. 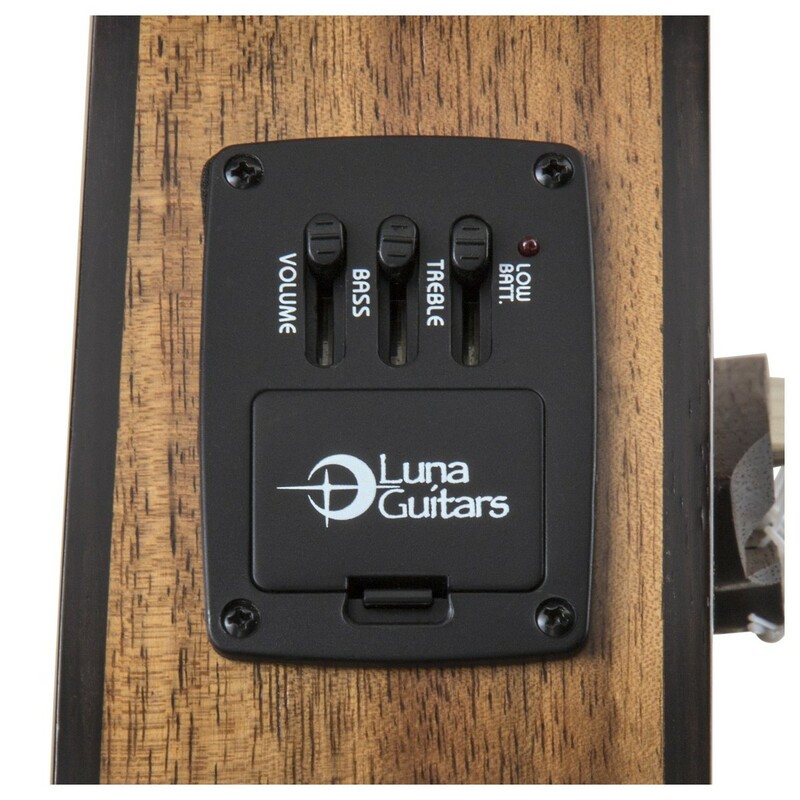 The Luna High Tide Concert comes equipped with Luna's own preamp, which features basic sound tweaking for volume bass, and treble, enabling players to add a little more treble as well as bass to their natural sound if preferred. With this, the High Tide is certainly ideal for the gigging ukulele player. Constructed from mahogany, the High Tide's neck offers durability and superb resonance. Mahogany is commonly used to craft ukulele necks as the wood responds greatly to many different playing styles and techniques. To provide comfort, the High Tide features a C shaped neck profile, which offers players a comfortable and secure grip, reducing the likeliness of a cramping hand. In addition, the neck is topped with a walnut fingerboard that adds sustain and clarity to the overall tone. 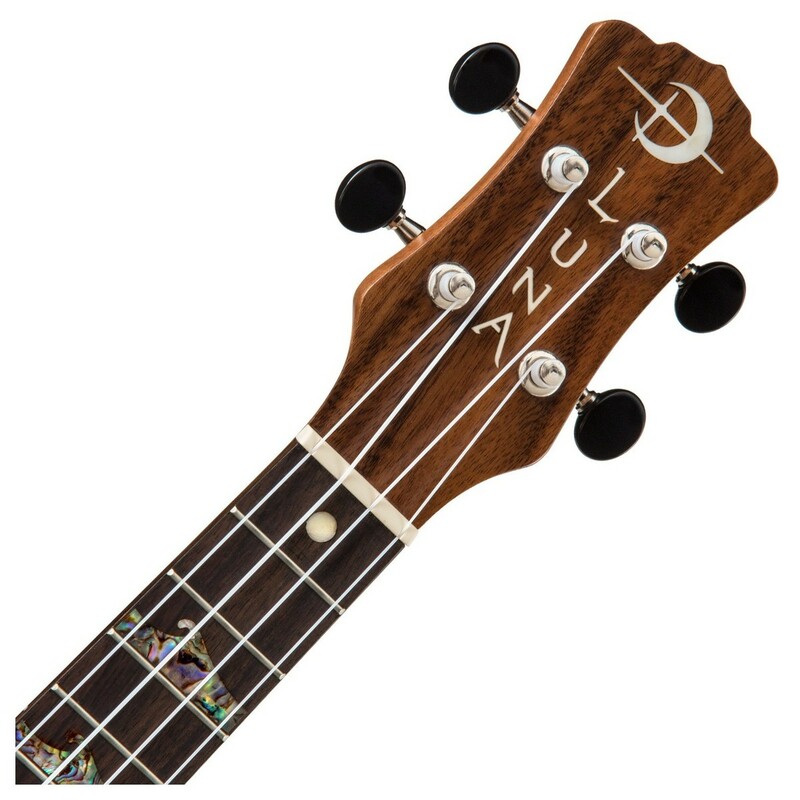 Its walnut fingerboard is graced with Luna's glistening high tide inlays that rise as they make their way up the fingerboard towards the moon's pull. The High Tide features a concert cutaway body shape, which produces a rich and clear sound suitable for numerous techniques and styles of play. 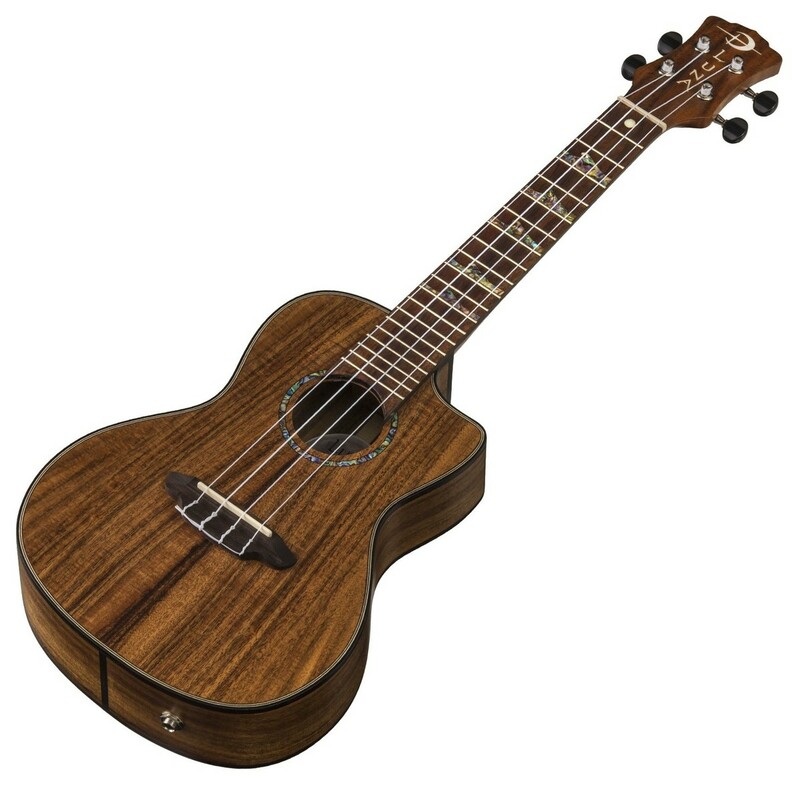 The High Tide has 20 frets and has become the choice of preference for ukulele soloists due to its extended range. The concert shape enables players to perform more technical skills, whilst maintaining classic ukulele tone. In addition, the concert shape is slightly larger than standard soprano size and provides more volume due to more room for sound to vibrate around the body. Its concert body also features a cutaway design, which enables players to reach more challenging chords with ease and provides more freedom for technical skills to be performed.